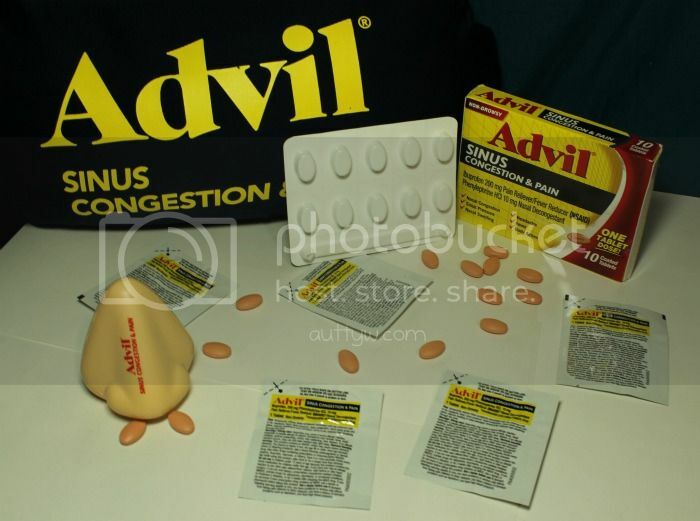 AuttyW: Help Your Sinus Congestion & Pain Issues with Advil! 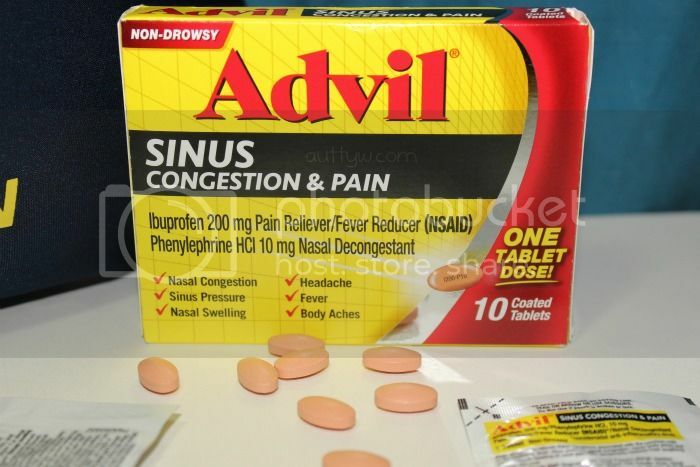 Help Your Sinus Congestion & Pain Issues with Advil! Before I begin I want to say that this is a press sample sent from Smiley360 for review consideration. But the more important thing that I want to say is that I am not a doctor and you should always check with your doctor (if you have one) before trying any new medication. With that out of the way let's get started shant we? When I received this in the mail you have no idea how excited I was because I could tell that I was starting to get sick and I was just ready to fight the fight and get rid of it quickly! However for me, it was just a minor cold, which this really isn't for...it isn't for a cold at all actually. So what did I do to test this out? Fade to my Dad. He is ALWAYS having sinus and congestion issues, I am not kidding. This man has tried everything and nothing has helped at all. I'm not going to gross you out by talking about all of the details about his sinuses...I would love to tell you a story, but it's purely awful and I don't want you all to get sick on your phones or computers, so I shall spare you! The directions say to take one pill every 4 hours to get the maximum relief that you can, but for my Dad it only took one MAYBE two pills if it was a bad day. This dried up his sinuses and helped with his congestion to where he wasn't constantly in pain. He could actually breathe! It was a miracle for him! Not only that but he wasn't having sinus headaches anymore because this was helping with the pain and pressure in his sinuses. At the end of the day, this really helped my Dad out with his sinus congestion and pain issues that he has had for years..It's the ONLY thing that has actually worked for him, which makes me happy that .he has actually found something to help his feel better. I really think that if you have Sinus Congestion & pain, this is definitely something that you need to look into and try. I really think that it could help you out like it helped my Dad! They sound great to use for congestion and pain. Thanks for sharing! That's awesome that your dad now has something that works for him! !